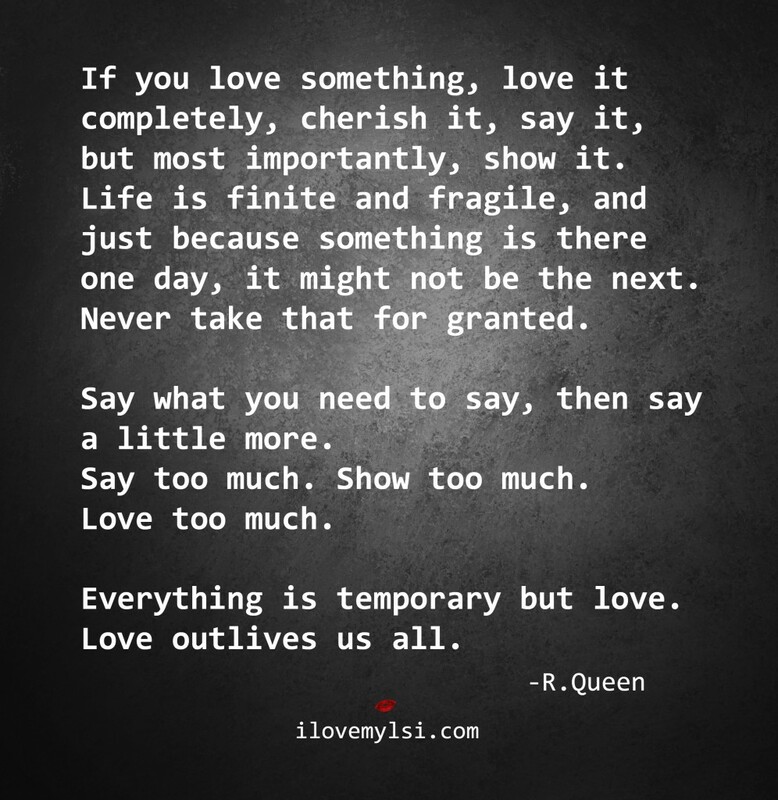 If you love something, love it completely, cherish it, say it, but most importantly, show it. Life is finite and fragile, and just because something is there one day, it might not be the next. Never take that for granted. Everything is temporary but love.